Seldom do I make resolutions. I'm not really that kind of girl. Resolutions don't seem all that fun and I hear so much about people breaking theirs so soon after the new year. But I've decided to start a Resolution Revolution this year. My resolutions are pretty easy, mostly fun (all but one), and I think they'll make me a happier person, and the world a better place! 1. I'm going to support local art shows more regularly. Whether it's an art show, a play, or a concert-- I'm going to make an effort to get out and see all that Dallas has to offer. I'm always happy once I get myself out to a show, but sometimes the getting myself there part is a little difficult. But being a performer myself, I know how meaningful it is to have people show up to something I've worked really hard to get ready for. A concert I went to recently at the Kessler Theater. 2. I'm buying more handcrafted goods off of Etsy this year. Which means more than 2 items, which is all I bought last year. I love one of a kind things made by someone, rather than a machine. And if I'm spending money, I'd much rather it be going directly to an artist, rather than some big manufacturing company. 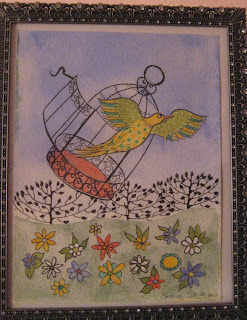 A painting I bought from the very talented Jessica Stride-- on Ebay! 3. I'm going to cook LOVINGLY. I look at cooking dinner as a chore, rather than an act of love for myself and for my husband. 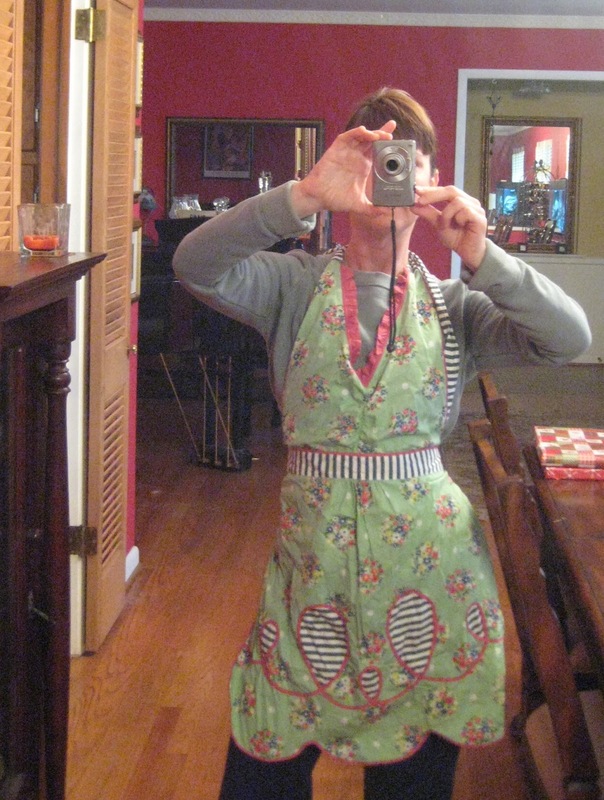 So I'm planning to put on my cute apron, turn on some good music, and cook up some great new recipes this year. Even when I don't look cute, my apron does! 4. I'm devoting more time to marketing my music. I'm super proud of my new CD, and I really want as many people to hear it as possible. I write the music and play it mostly for my own enjoyment, but why record it unless I want people to hear it? And I do! I do! Get your copy of my CD HERE! 5. There's going to be more passionate kissing going on at my house. See? Don't those sound like fun? No dieting. No quitting any bad habits. Nothing that seems overly challenging that I will give up on by February 1st. And I was vague enough that it nothing feels too regimented and difficult to stick with. That's my kind of resolution! Love them and think I will adopt them for my resolutions too. Sounds like the way to go in the New Year. Oh ~ and I'm helping by spreading the word about your CD - I LOVE IT! Oh yeah - one more thing - on my list this year is to come to one of YOUR live performances. Just love your resolutions! Full of passion and soul inspiration and food and lovin'...doesn't get any better than that. I'm not one to make resolutions either...at least I don't normally announce them...we just try to improve one thing in our diet for the past 8 years and it works ;) This year we added "juicing" to our goal of improving our health...yeah! They say it takes a month to create a habit, so here is a little incentive. Pick any show this month at the Kessler and your first ticket is on us. Just email edwin@thekessler.org before the day of the show to redeem. Speaking of February 1st... it's only 27 days and 19+ hours until FAWM! You getting in the mix this year? I wouldn't blame you if you didn't. New disc is out and needs to be promoted and it seems like just yesterday you came off of 50/90. Perfect! They all sound like great fun and very doable! Happy 2011! 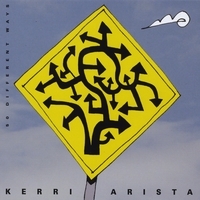 Dearest sweet Kerri, i am loving your list! WIshing you LOVE and JOY this new year! Thanks so much for all the love, support and blessing you sent my way! Have a lovely merry happy first week of 2011! Love to you! Revolution is my all time favorite Beatles song! Check it out, and hope to see ya perform real soon. Utilizing etsy more is on my goal list for 2011 too. I had so much fun cooking Christmas dinner that I have decided to plan menus and cook more feasts. those are fabulous resolutions! I'm not one for resolutions much either, so I like your fun list. (I'll warn you that shopping on Etsy becomes addicting!) Your apron is super cute and more passionate kissing sounds devine. I love your resolutions! I think the etsy one is something I can keep for myself... so much pretty stuff there! Yay! Cheers to any and all resolutions that were made for the New Year- Best of luck on all of them! What a great post...I am inspired! i love all of this! i mean, what great resolutions and AND then to end with the Beatles? Perfection my friend. Those do sound fun! Maybe my kitchen needs an apron too!